Anamorph: linked with Pseudoseptoria donacis (Pass.) 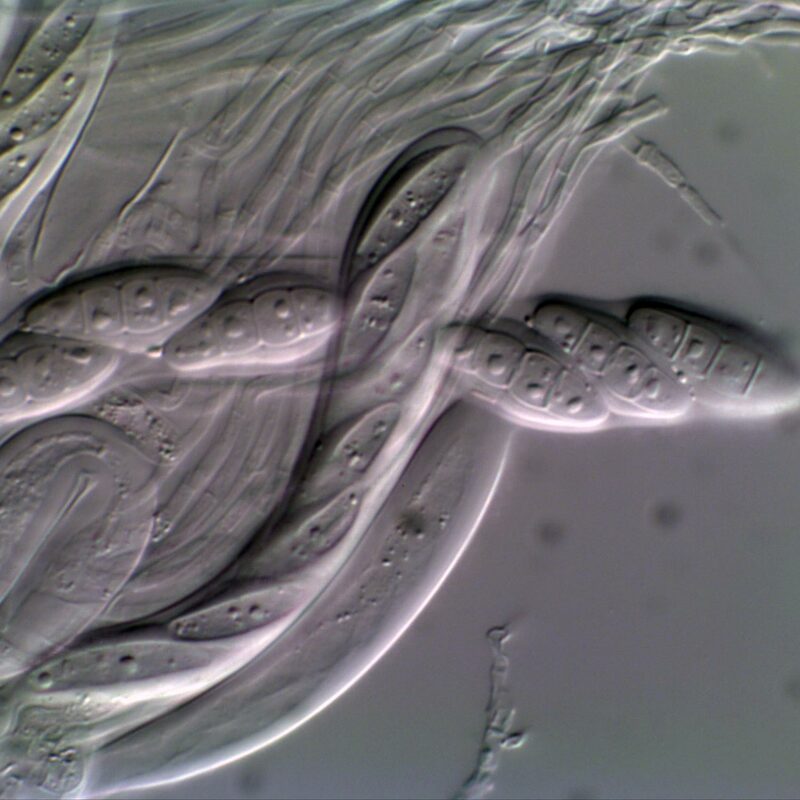 Sutton (as Septoria oxyspora Penz. & Sacc.) by Grove (1935), but the connection is only based on juxtaposition of fruit-bodies. Teleomorph: Ascostromata perithecial, 200-250 µm diam., globose to pyriform, papillate, subepidermal with just the papilla erumpent, clypeate. Peridium 10-16 µm thick, composed of compressed cells, abruptly becoming rounded adjacent to the papilla and extending into the epidermis as a clypeus, papilla composed of ± upright to convergent red-brown setae 25-60 x 4-6 µm. 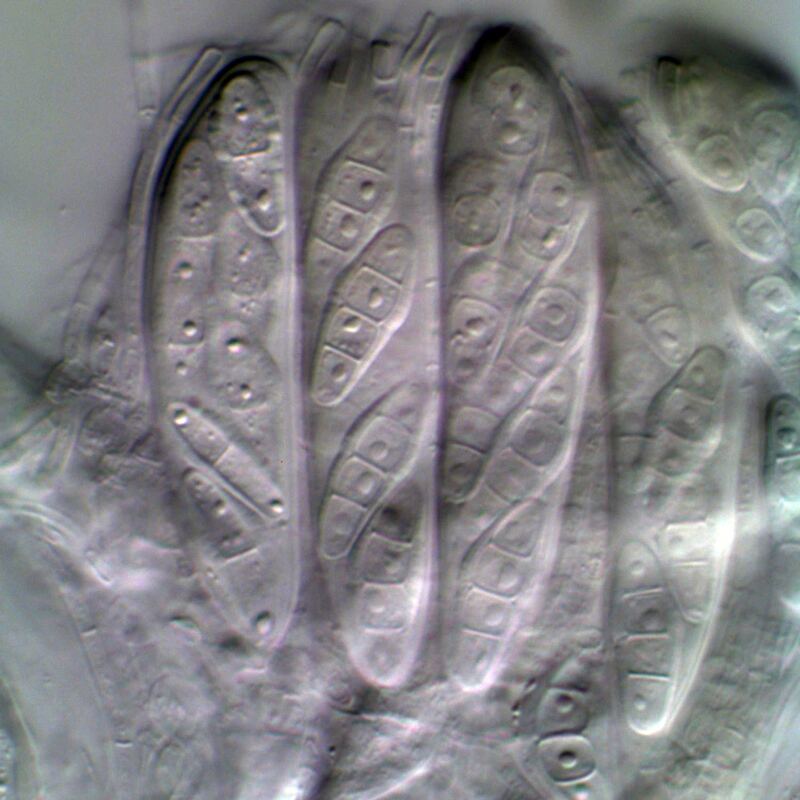 Interascal tissue of pseudoparaphyses 1-2 µm in diam. Asci 76-102 x 15-17 µm, cylindric-clavate, short-stalked, thick-walled and fissitunicate, 8-spored. 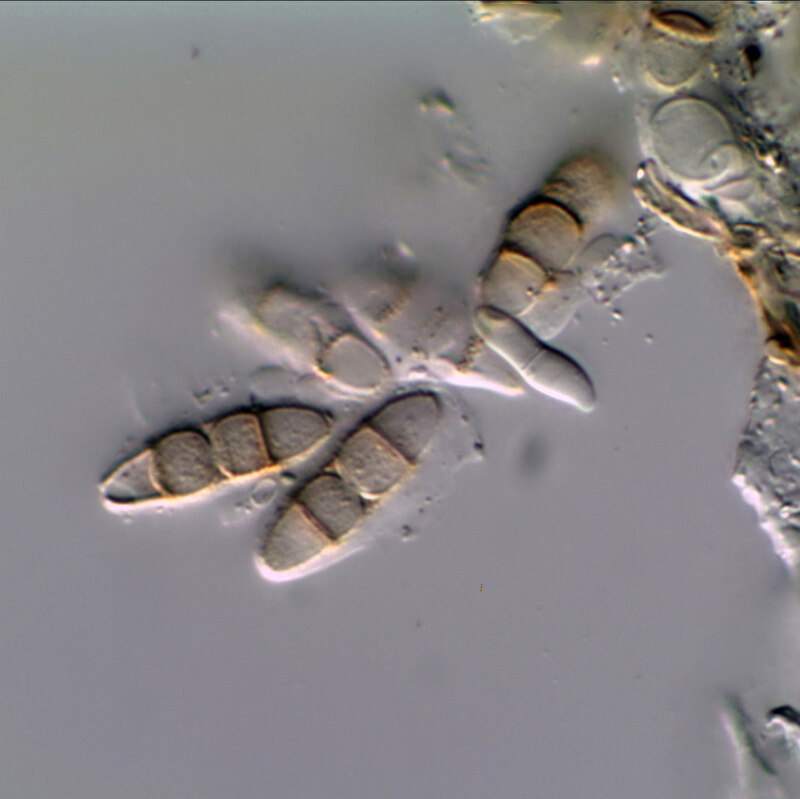 Ascospores arranged biseriately, 20-26 x 7-9 µm, narrowly ellipsoidal, hyaline, 3-septate, the cell above the primary septum hardly swollen, often with a gelatinous layer present that is prominent along the sides but not at the ends.